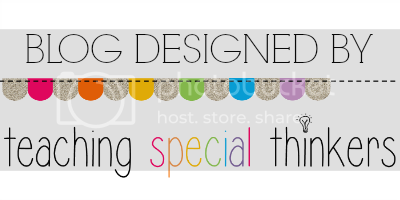 A Special Sparkle: Guest Blogger Melissa Teaches Us About Communication Tools! Guest Blogger Melissa Teaches Us About Communication Tools! I am BEYOND excited to be guest blogging with all these fabulous authors here on A Special Sparkle! I am a Special Education teacher and I teach 3-6 grade kiddo's with moderate/severe needs. 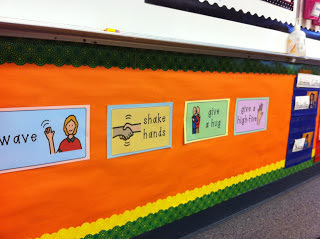 With that being said, I wanted to share with you how I incorporate Communication Tools in my classroom! Visual tools can very easily be misunderstood. Many people think that if the kiddo can talk, visual PECS strategies are not needed. Student’s with Autism and special needs can often times have visual processing difficulties. By implementing visual strategies, you can help relieve anxiety, reduce behaviors and improve the child's overall well-being. I am going to share 5 ways I implement VISUAL COMMUNICATION TOOLS in my classroom on a daily basis, and how these routines can help build structure in a kiddo's daily routine. -Art activity- Ask the kiddo, "What color crayon do you want/are you using? The student can respond verbally on their own, respond by pointing to the correct color on the art page of the PEC's book, or answer with prompting from staff using the visual PEC's book. -Math- Use the number's PEC's page to do speed games, trivia, informal testing, or use as a reference with two kiddo's Ex: Point to number 3... what number comes before 7, what is 2 + 9? 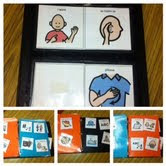 This PEC's Communication Book can also be used as a low-tech communication device for one kiddo. Be sure to assign one book to each kid if this is being used as a communication device, as each kid's should be personalized so the kiddo can become familiar with his/her own device. The child should have a sense of ownership of their own book, think of it as their own voice! Would you want to share a voice with your friend? Visit my blog for more info on the PECS book I use in my classroom by clicking here! You really can turn every activity into a communication building experience. One of my favorite things to do with my kids is different activities during music time. In order to get the most out of our music time, I created a music visual tool. I created a binder of Song PEC's that allow my student's to request songs in a complete sentence. This is great for verbal and non-verbal students! Click HERE to read more about my music communication tool! I am a big advocate for teaching kiddo's various coping strategies. If you look at a behavior, 9 times out of 10 the behavior is stemming from difficulties with communication; whether it be difficulty understanding the environment, expressing want's and needs or responding to verbal commands/requests. I created a Calm Down Kit to aide communication when a kiddo is showing signs of anxiety, frustration, jealousy, confusion etc. This Calm Down Kit is full of low-tech communication aides that prompt student to communicate with staff their wants and needs. Check out my blog for more info on each of the items in my Calm Down Kit by clicking HERE! I created this SIMPLE small communication tool and made a ton of copies so I can have them floating around my classroom. This little communication visual aide is used many times throughout our day, as I can prompt my student's with this visual cue card without any verbal directives from staff. My student's have been able to learn how to communicate using this working PECS card and it helps staff understand how to help each kiddo best at that given moment. Click HERE to read more! 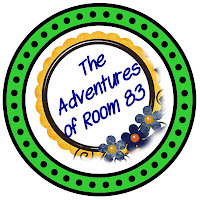 Thanks again for reading, be sure to visit me over on my blog at The Adventures of Room 83!